Guess if we have a mobile website as well as mobile App and an user share the url of any content on our website to a user who have our application installed on his/hers phone. If the user click on the link it will be opened in the web browser, but the same content is also available on the App and if it was opened on the App the user experience should have been better. What deep link can do? By using the deep link we can link the content inside of our application directly to the web url. So if an user sends a link to his/hers friends they can open the same content in the mobile application just by clicking the url. In traditional deep linking when an user click on any url it will redirect to the corresponding content in the application if the application is installed on the device otherwise it will open the url in web browser. In the case when user does not have application installed on his/hers device and open the link and from web browser it goes to store and installed the application then open it, he/she will land on the home page of the application rather than the content page of the url. In Traditional deep linking we have a drawback of losing the link when user do not have App installed on his/hers device. 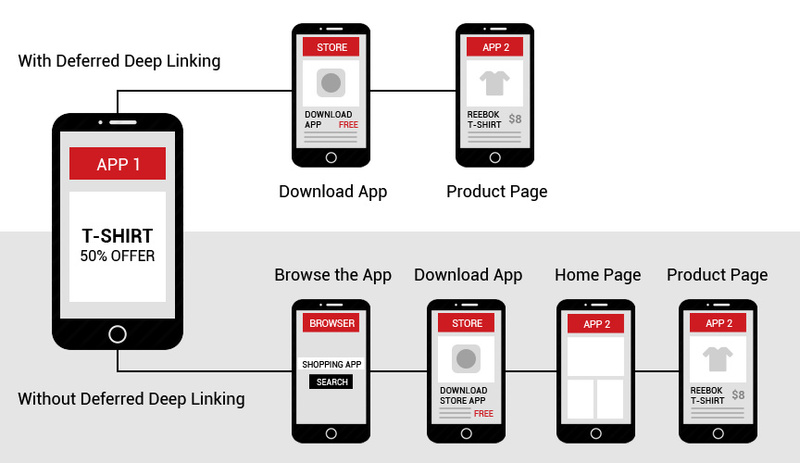 In deferred deep linking we solve this problem and when user install the App for first time from a link and open the App we redirect him/her to the content according to the url. 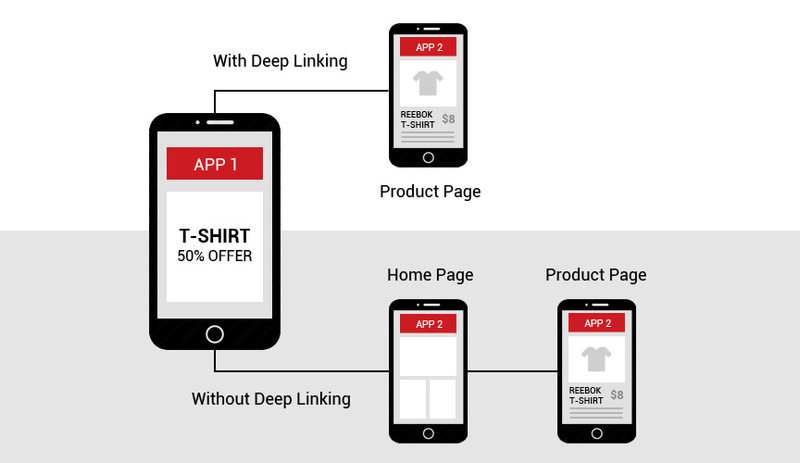 Contextual deep linking is much similar to Deferred deep linking. 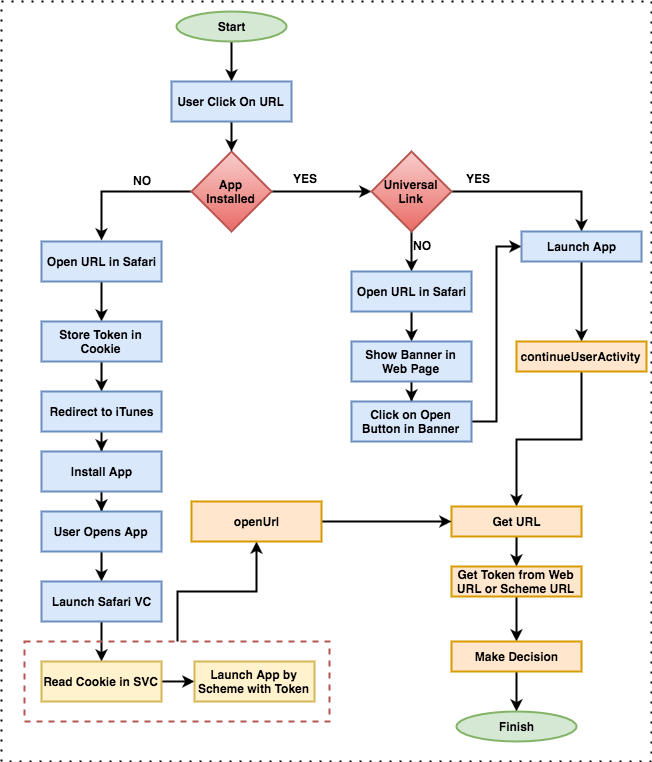 Addition to Deferred deep linking in Contextual deep linking we store user information and pass it to our mobile App so that we can restore his/hers state in mobile App. 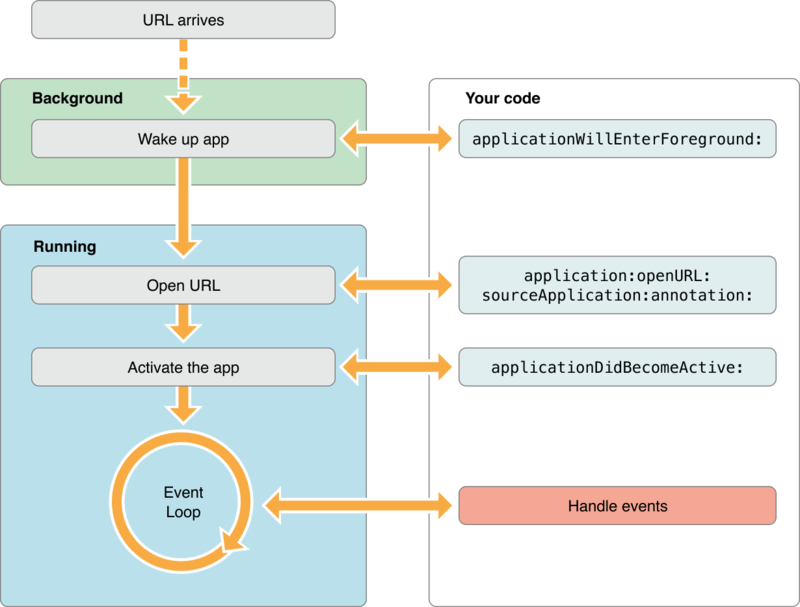 In this deep linking we not only pass data about where to land in the App but also record the information about the user including who they are, where they are referred from, who referred them or which promotion code they want to apply. CFBundleURLName: It is a string containing abstract name of the URL Scheme. CFBundleURLSchemes: It is an array containing the URL Scheme names. The problem with URL Scheme is that when an user share a url the url is of a webpage which support http protocol and when an user click on it first the webpage will be open in web browser then in the web browser our web app has to make request to our custom url to open the content in the mobile app. So in Custom URL Scheme web browser has to be launched before we can open the content in our mobile App. From iOS 9.0 Apple introduced Universal Link as a solution of this problem. Universal Link support direct linking between web page url and mobile app. When any user click on a url then iOS first check if there is any application which support this url if yes then it will open that corresponding Application otherwise the url will be opened in web browser. Upload this file to your HTTPS server. Handle universal link in your App. In this json the apps key must be present and it’s value must be an empty array. The details key is an array of dictionaries. Each dictionary contains appId and paths keys. The value of key appId is your apple Id or team Id in the concatination of your bundle identifier. In Above example the first value of appId has 9JA89QQLNQ as apple Id and com.apple.wwdc as bundle identifier. You have to replace these values with your own apple Id and bundle identifiers. The value of key paths is an array of string that defines the parts of your website which your application can handle. In first dictionary it will open your application if url have /www/news/ in the url or it has any url starting with /video/wwdc/2015/. Use * to link your whole website or use it after a path to support some part of your website. You can also use NOT to exclude any url from universal link like: "paths": [ "/wwdc/news/", "NOT /videos/wwdc/2010/*", "/videos/wwdc/201?/*"]. Now you have to implement application(_:continue:restorationHandler:) in your AppDelegate file. This method will be called when user click on link which your supports. In Universal link iOS also check the recent chioce of the user that whether to open the url in mobile application or web browser. When an user open the url in your application he/she can also open the url in Safari by tapping the breadcrumb button at the right side of the status bar. Once user click on the breadcrumb button, iOS will remember the choice of the user and next time it will always open the link in Safari. To overcome this situation we have to add a Smart Banner to our web page so that when iOS open the application in Safari user can go back to application by Smart Banner. Once user open the Application using Smart Banner iOS will remember the choice of user and next time the link will be opened in Application. We can use smart banner in our webpage to let user install or open our mobile application directly from webpage. The banner intelligently changes it’s action depending upon whether the Application is installed on the device or not. app-id: It is you application’s unique identifier at App Store. You can find it Here. Search your app and the iPhone App Link. Your app ID is the nine-digit number in between id and ?mt. affiliate-data: If you’re an iTunes affiliate you can add your affiliate string here. It is an Optional field. app-argument: Here you have to give the url that will be passed to your mobile App when user open the application by Smart Banner. When user click View he/she will be redirected to App Store. When user click OPEN he/she will be redirected to your mobile app and next time when he/she click on link it will directly open in Mobile App. 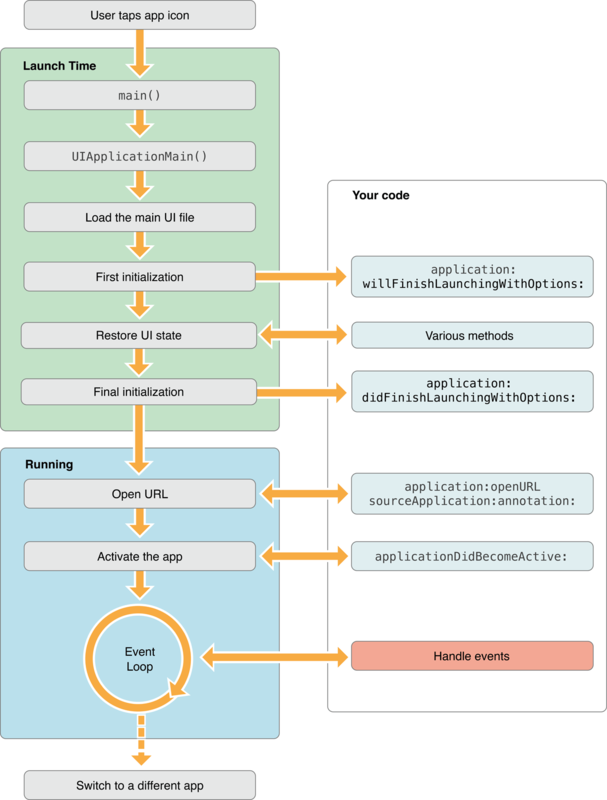 Unitl now we have two methods to open the application and getting the URL when application is installed on user’s device, But what if user click on link and the application is not installed on device. It will be opened on web browser, user will install the application but when he/she launches the application we will not get any url on which we can take decision to land him/her on the correct page. For this problem we have to implement some mechanism by which we can share the url between the web browser and the Mobile Application. To share the data between Safari and Mobile App we will use SFSafariViewController. SFSafariViewController was introduced in iOS 9.0 and it supports sharing of web page data like cookies between applications. So what we are gonna do is to store the url in the cookie when user open the url in web browser and he/she lanunches the application we will open an simple page which will check the cookie and if cookie is present it will launch our application by using URL Scheme so that we can make a decision. let redirectUrl = URL(string: "http://<youwebsite>/redirect.html")! You have to import SafariServices framework to use SFSafariViewController. Now you have to implement the SFSafariViewControllerDelegate in your view controller. This delegate have two methods you have to implement and then dismiss the Safari View Controller. Now in url we have used redirect.html which will be responsible reading the cookie and then calling our application by URL Scheme. Add following code in the redirect.html file to read and redirect.